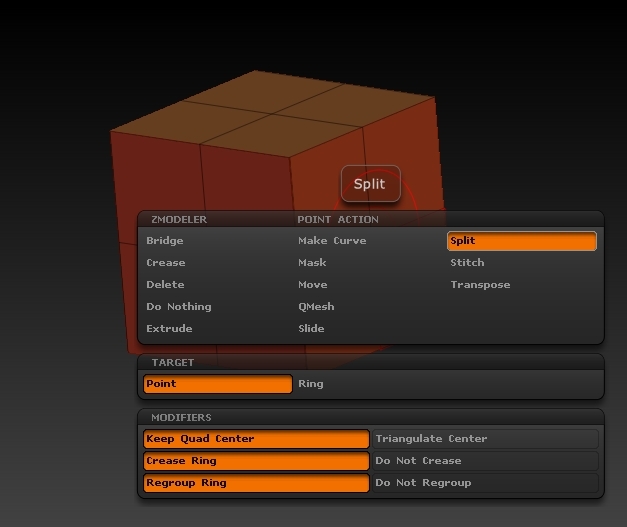 The new ZBrush ZModeler brush is a mighty tool with many functions and possibilities. 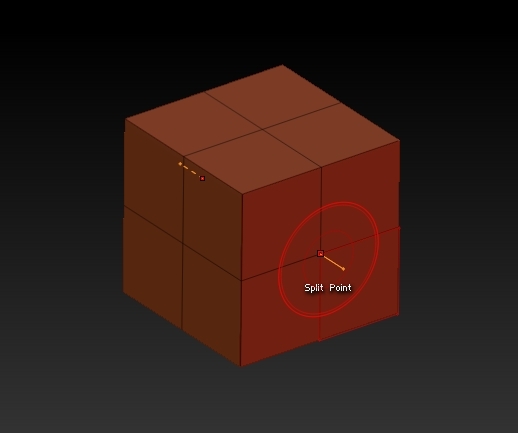 In this tutorial we want to show you how to use the Split action to cut a hole through a mesh. 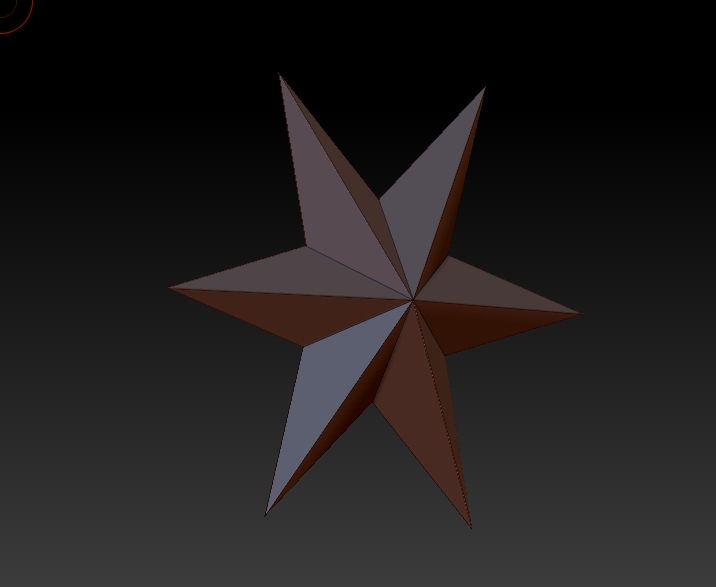 You can find many tutorials in the internet on the ZModeler feature of ZBrush 4 R7 but many of them show a big variety of functionality so that you don’t know were to start. We want to bring tutorials about this feature to you that cover a special sub feature of the ZModeler so you don’t get lost in all the things you can do with it. Make sure to show the polygroups (Poly, hotkey Shift+F). Then you should have a QCube with resolution 2x2x2. Our goal is to cut a hole through this cube. The ZModeler brush can be selected by pressing B key to show the brushes, then Z key to limit the display to all brushes starting with Z and then select the ZModeler brush with the mouse or by pressing M key. 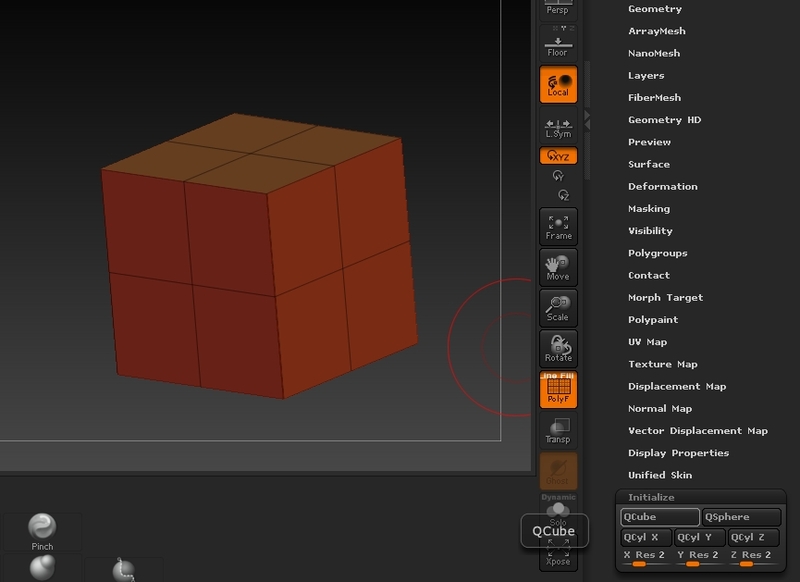 When you hover the mouse over your cube you can see that the ZModeler brush is context sensitive. When you are over an edge, the edge will be highlighted, the same happens for faces and point. When you right click you get the menu in which you can select the actions and the target that are available for your currently hovered part (point, edge or face). 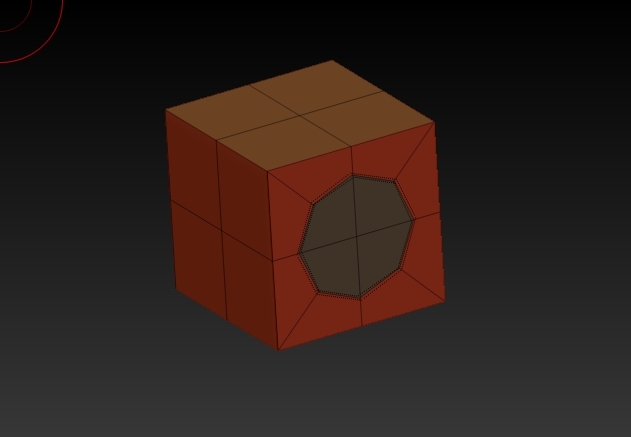 Hover over the middle point of the front faces of the cube and press the left mouse button. 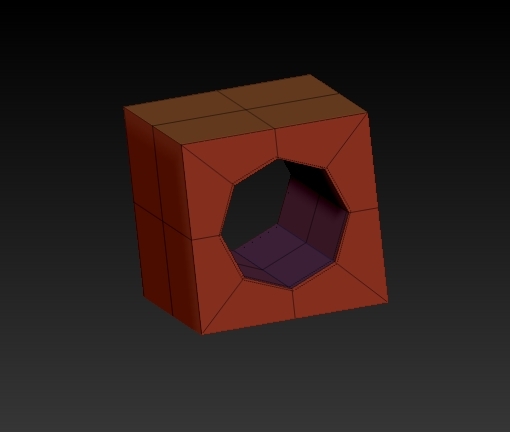 You splitted the point up to a circle, the same thing happens on the opposite side of the cube for you have the x-symmetry enabled. 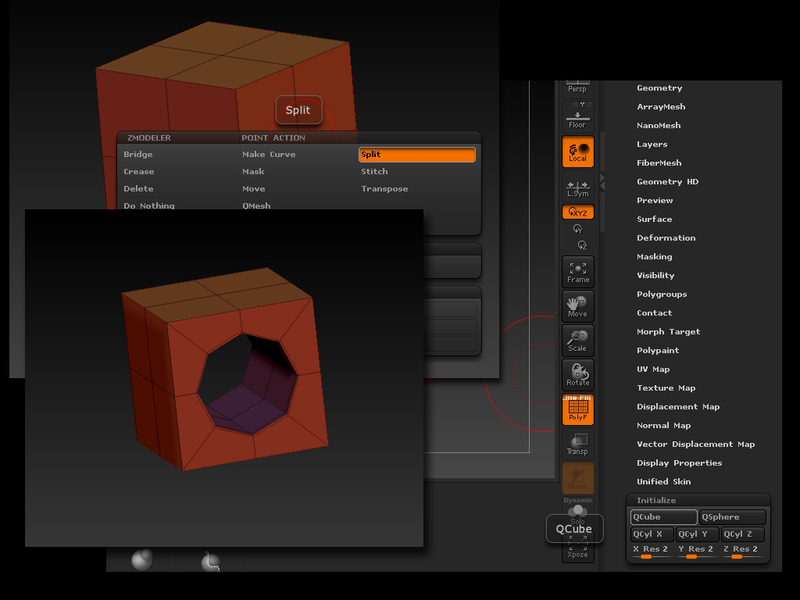 Try it, you will be able to cut the hole into the cube, it’s very intuitive, you will see. That’s it. Cutting holes by preserving a clean topology could be a difficult task when using other 3D tools and modelling programs, but in my opinion it is quite easy using ZBrush’s ZModeler as a time saver.